Forums >> Beliefs & Spirituality >> **Cosmic Religion and the New Age** >> ARE WE NOW IN THE END TIMES? 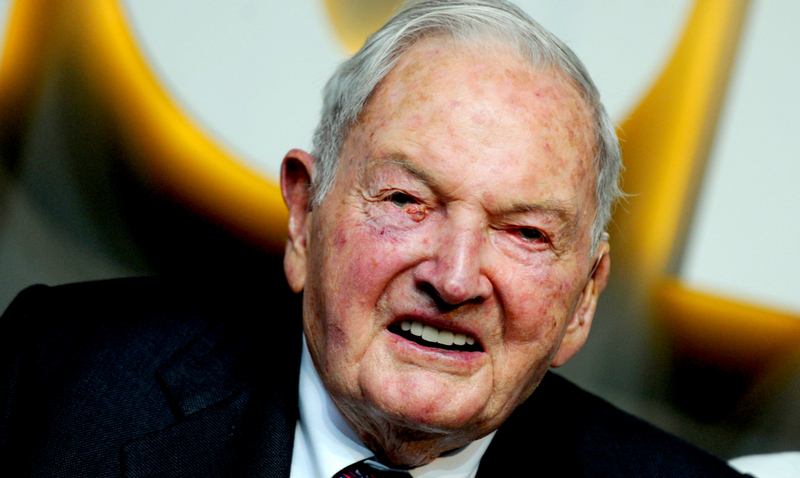 RE: ARE WE NOW IN THE END TIMES? 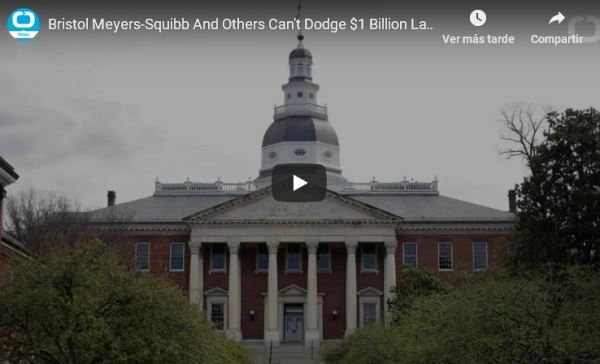 A federal judge in Baltimore, Maryland made the decision to move forward in a $1 billion lawsuit against Johns Hopkins University, Bristol-Myers Squibb and the Rockefeller Foundation for the role in a 1940s U.S. Government experiment. The decision highlights the darker side to many of our modern medications. The decision is for the 444 victims and their families who are suing those involved in an experiment in Guatemala that was kept hidden until 2010. The experiment was conducted to better understand the treatment and prevention of STDs, specifically focused on the effectiveness of the then-new drug penicillin. When the test was uncovered by a professor at Wellesley College in Massachusetts, President Barack Obama called the Guatemalan president personally to offer a sincere apology. The lawsuit was first filed and dismissed last year, however, following the recommendation of U.S. District Judge Marvin J. Garbis, the victims’ attorneys refiled. In order to do so, they were required to outline the events of the experiment including how and when the victims were experimented on, as well as the way in which it impacted their spouses, children, and grandchildren. The stories shared in the lawsuit are disturbing at best, dividing the victims into six different categories: people who were infected as part of the experimentation, the estates of these original victims, spouses, first-generation descendants, subsequent generate descendants and other relatives of those who died as a result of the diseases contracted from the studies. At least one story from each category was shared in the complaint, showing just how vast the impact of this experiment currently reaches. The diseases weren’t restricted to just those initially infected. Instead, they infected spouses and children unknowingly, starting a ripple effect in the area. The study even suggests that some were unaware that they were part of the experiment until President Barack Obama’s public apology. The experiment is incredibly similar to the well-known Syphilis Study at Tuskegee in which 600 black men were experimented upon. Many claim that many didn’t receive the proper treatment to cure the illness, leaving them to suffer. 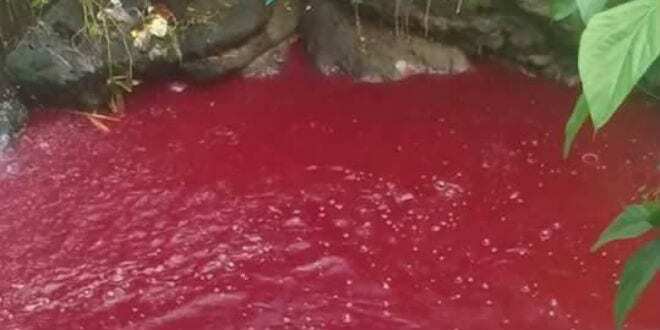 More than any of the plagues that followed, the sight of crimson water has become deeply embedded in the collective unconscious and is readily associated with the Exodus. 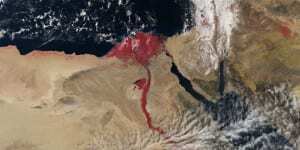 Although Pharoah’s necromancers were able to duplicate Aaron’s feat, the sight of the Nile-God turning to blood gave the Egyptians a taste of things to come. Just last week Saudi Arabia suffered a massive infestation of bugs, most notably locusts. In a case of divine irony, the bugs arrived in time for the weekly Torah reading that described their role in the Exodus of the Jews from Egypt. 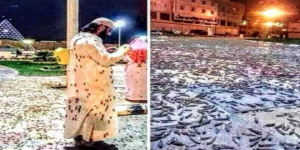 Though many natural causes were blamed for the insects’ appearance, images of the floor of the Great Mosque in Mecca covered in dead locusts evoked Biblical connotations. The total solar eclipse that transversed the continental U.S. in August 2017 ushered in one of the most catastrophic hurricane seasons in the nation’s history. The country will not see another total solar eclipse until April 2024 but on January 21, a lunar eclipse with grave spiritual significance will pass over the country. 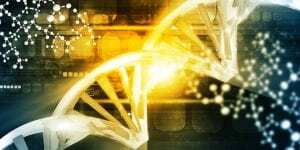 It may be that the most dreaded Tenth Plague is reappearing, or at least one disturbing aspect of it.In a recent article concerning the Messianic implications of do-it-yourself DNA testing, it was revealed that 20-30 percent of paternity tests reveal that the man doing the test is not the father of the child they are testing. JERUSALEM has been hit by a rare snow fall that has led to schools being closed and put Israel’s only ski resort out of action. 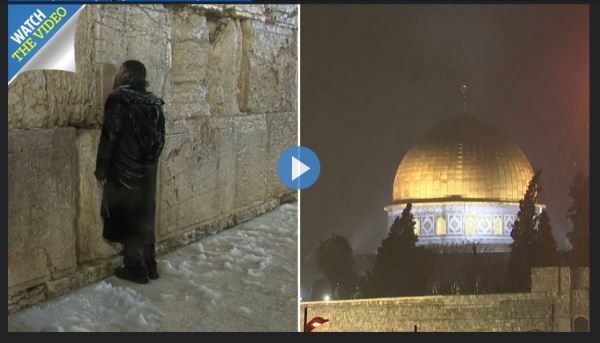 Pictures show the city's iconic monuments including the Wailing Wall and the Dome of the Rock covered in snow as temperatures fell to 6C. The snow was accompanied by torrential rain and high winds that brought flooding to other parts of the country, according to local media reports. The Jerusalem municipality put some 150 snowplows and bulldozers standby to deal with the snow and used 25 tons of salt to prevent slippery roads. When Jerusalem was hit by heavy snow in 2013, thousands of drivers stranded for hours on the roads surrounding the city. Israel’s only ski resort on Mount reported that some 15 inches of snow has fallen in the past 24 hours and it remain closed until Thursday because of the weather, The Times of Israel Reported. The country’s electricity provider said demand on Wednesday evening broke previous records. 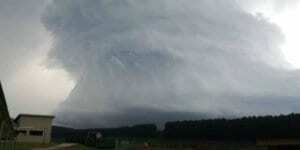 There were some 523 lightning strikes across the country compared to the January average of 67 in a day, Hadashot news reported. Heavy winter rain led to a welcome 6 inch swell in the Sea of Galilee, which has reached dangerously low levels amid a five-year drought. Stargazers are in for an epic astronomical treat this weekend, when three cosmic elements merge to create a ‘super blood wolf moon’, something that’s only going to happen three times this century. Here’s RT’s guide to the rare lunar event. A ‘wolf moon’ is the name given for a full moon that happens in January, and derives from early Native American tribes noting when wolves would allegedly howl at the moon, according to the Farmer's Almanac. A total lunar eclipse is called a ‘blood moon’, and gets its name from the tint it gets when the Earth and moon briefly line up, casting a shadow over the lunar surface. It’s considered a ‘supermoon’ because the moon will reach its closest orbital point to Earth, making it appear 10 to 15 percent bigger than usual. In a nutshell, this is a rare enough occurence to be worth you standing outside on a blisteringly cold January night, staring up at the sky. 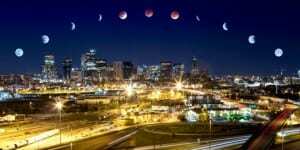 While Earthlings can catch scores of supermoons and blood moons in their lifetime, a combination of the two taking place together in January only happens three times this century. A Super Blood Wolf Moon Eclipse is coming to a theatre near you. On Sunday, January 20th into Monday the 21st, we’ll have a total lunar eclipse of a super blood moon (reddish tint, 14% bigger, 30% brighter). It will also be a full moon Jan 21, known as the Wolf moon. The key timeframe is Sunday evening (January 20) or early Monday morning, depending on where you live in the world. The event starts at 02:36 UTC, however the part you don’t want to miss (totality) starts at 04:41 UTC and will last for about an hour. Unlike solar eclipses, you don’t need eye protection to witness this one, and if the sky above is clear, stargazers should be able to look on from cities and villages alike. People in North and South America should have a particularly spectacular view of the celestial proceedings, but they will also be visible from Greenland, Iceland, parts of western Europe and parts of Western Africa. Meanwhile, eastern Europe, eastern Africa and a lucky few on the fringe of east Asia will be able to see a partial lunar eclipse. The vast majority of Asia, and all of Australia, will not be able to see the eclipse this time, according to NASA. If you can't catch a glimpse of the natural phenomenon in person, you can watch via online livestreams, includingthis one from the TimeAndDate. A pipeline explosion north of Mexico City has killed at least 21 and injured more than 70 people who had been gathered around the ruptured Pemex line collecting free fuel. Another blast came minutes later near San Juan del Rio. The pipeline had been spewing fuel for several hours near Pemex's Tula refinery, and hundreds of people had reportedly gathered round with plastic containers and even vehicles to grab whatever fuel they could carry - rendering the eventual explosion that much more deadly. Videos posted on social media, apparently from the scene, show flames shooting dozens of meters upwards as people scurry around screaming. The site has been secured by the Mexican Army, according to Hidalgo state Governor Omar Fayad. President Andres Manuel Lopez Obrador has made cracking down on fuel thieves a priority, stating that the siphoning cost the government over US$3 billion in 2018. 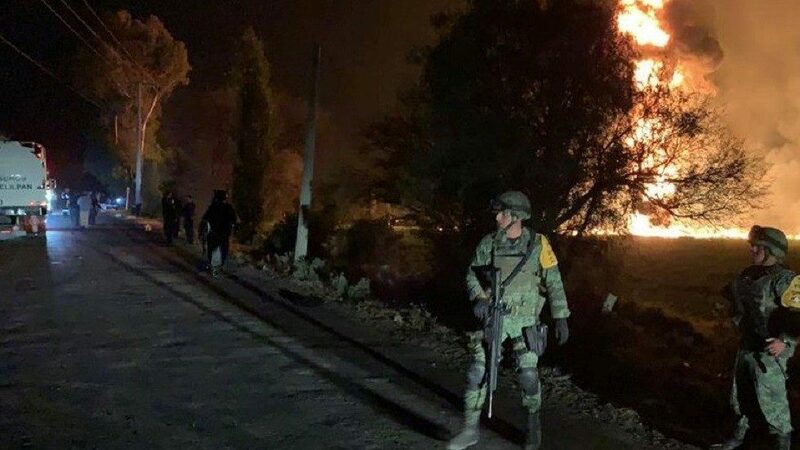 Alejandro Gertz Manero, general prosecutor of Mexico, said Saturday night that the investigation has just started but that a "preliminary belief" is that static electricity from the clothing of people around the pipeline may have caused the blast. He noted a large number of people were around the pipeline, some of whom were wearing clothes made with synthetic fibers that could "generate electric reactions. "He said no arrests have been made and that witnesses will be interviewed Sunday.The fire resulting from the pipeline explosion has been extinguished, Mexican Secretary of Public Security Alfonso Durazo said on Twitter, and rescue teams have begun to recover bodies. President Andrés Manuel López Obrador, who visited Tlahuelilpan and met with officials at a command center, saidpipelines will be monitored to avoid fuel theft. "To guarantee that there are no fuel shortages, it has been fundamental the participation of the armed forces, the military, marines and federal police," he said. "If necessary, we will re-enforce the surveillance strategy. Another method will be the increase of fuel transportation capacity." The explosion comes as gas stations in several Mexican states and the country's capital have been running dry for nearly two weeks.The López Obrador administration closed key pipelines in an effort to crack down on fuel theft, which the Mexican leader said cost the country an estimated $3 billion last year. Pemex said a new gas distribution system will have long-term benefits that outweigh any short-term cost. Pemex said the explosion would not affect gasoline distribution in Mexico City. Authorities have blamed fuel theft for previous explosions in Mexico. In 2010, a pipeline blew up in the state of Puebla, leaving 28 people dead and scores injured. The horrifying aftermath of the pipeline blast in Mexico has been captured in a disturbing video that shows terrified people, engulfed by flames, fleeing for their lives. The footage shows crowds of panicked people running to escape the massive wall of fire, many of whom are covered in flames.